Aquí estuvo el Hospital del Espiritu Santo. Catálogo de la Insp. Gral. de Monumentos Artísticos e Históricos. 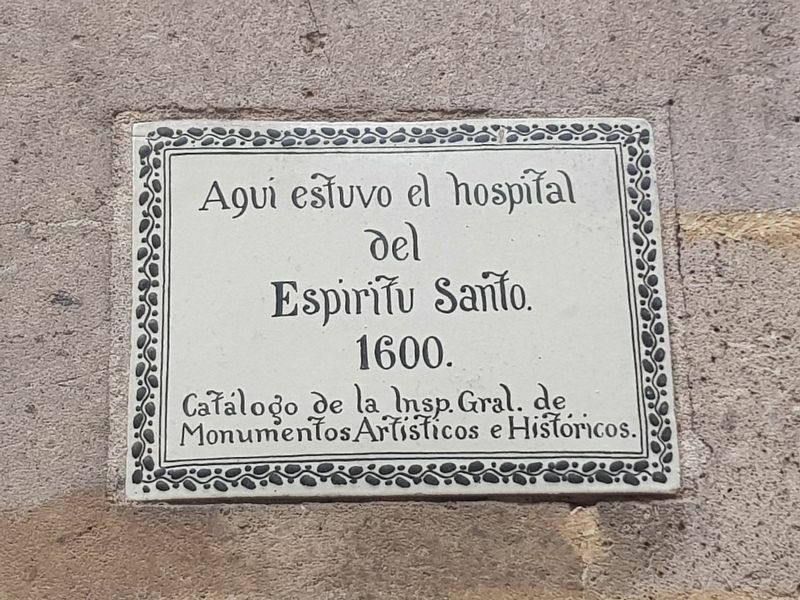 Here was the Hospital of Espíritu Santo (Holy Spirit Hospital). Erected by Catálogo de la Inspección General de Monumentos Artísticos e Históricos. Location. 19° 25.972′ N, 99° 8.185′ W. Marker is in Ciudad de Mexico, Ciudad de México. Marker is on Calle Isabel la Católica just north of Avenida 16 de Septiembre, on the left when traveling north. Touch for map. Marker is at or near this postal address: Calle Isabel la Católica 31, Ciudad de Mexico, Ciudad de México 06000, Mexico. Touch for directions. The marker is on the far left of the building in this view, to the right of the large entryway with the "Casino Español" sign. 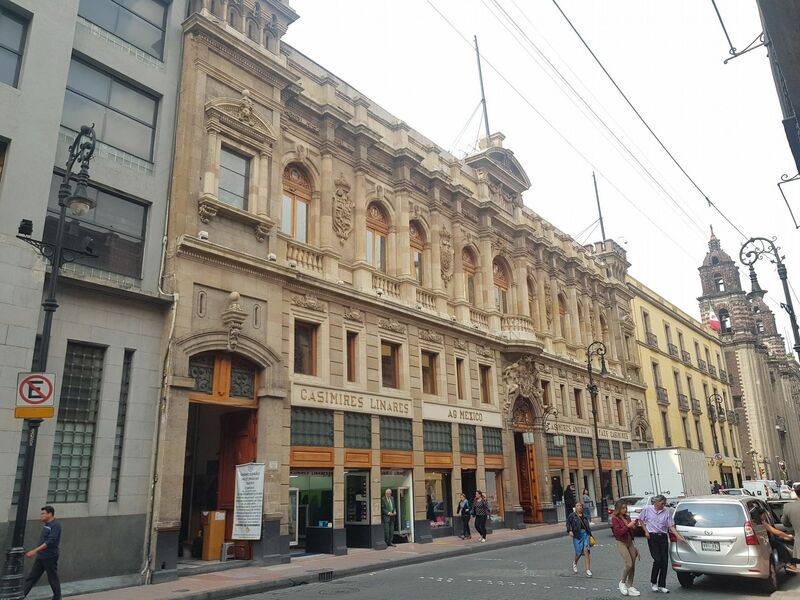 (within shouting distance of this marker); La Casa Boker (within shouting distance of this marker); Café La Concordia (within shouting distance of this marker); Temple of the Professed or San José del Real (within shouting distance of this marker); El Gran Café La Concordia (about 90 meters away, measured in a direct line). Touch for a list and map of all markers in Ciudad de Mexico. More. Search the internet for Hospital del Espíritu Santo. Credits. This page was last revised on October 23, 2018. This page originally submitted on October 23, 2018, by J. Makali Bruton of Querétaro, Mexico. This page has been viewed 29 times since then and 3 times this year. Photos: 1, 2. submitted on October 23, 2018, by J. Makali Bruton of Querétaro, Mexico.